Days: September 10-14, 2018 NOTE: this event has already happened, find current-year events on the events page. Clifton Clyde High School brought a big class of students and they all loved driving the Leaf and riding in the Teslas. A few riders got to drive the Teslas as well. 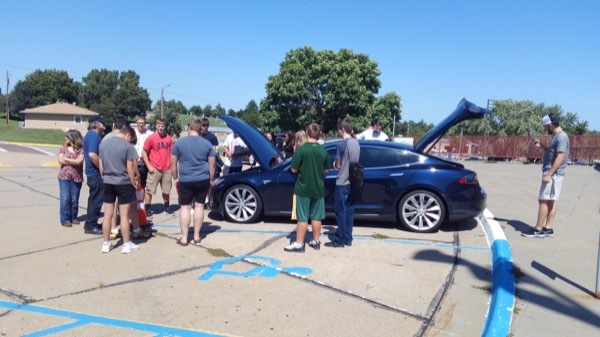 Local high school students checking out a Tesla Model S for the first time! Cloud wants to promote all things renewable so electric cars fit the bill perfectly. Come get information about modern electric cars, you may be surprised.